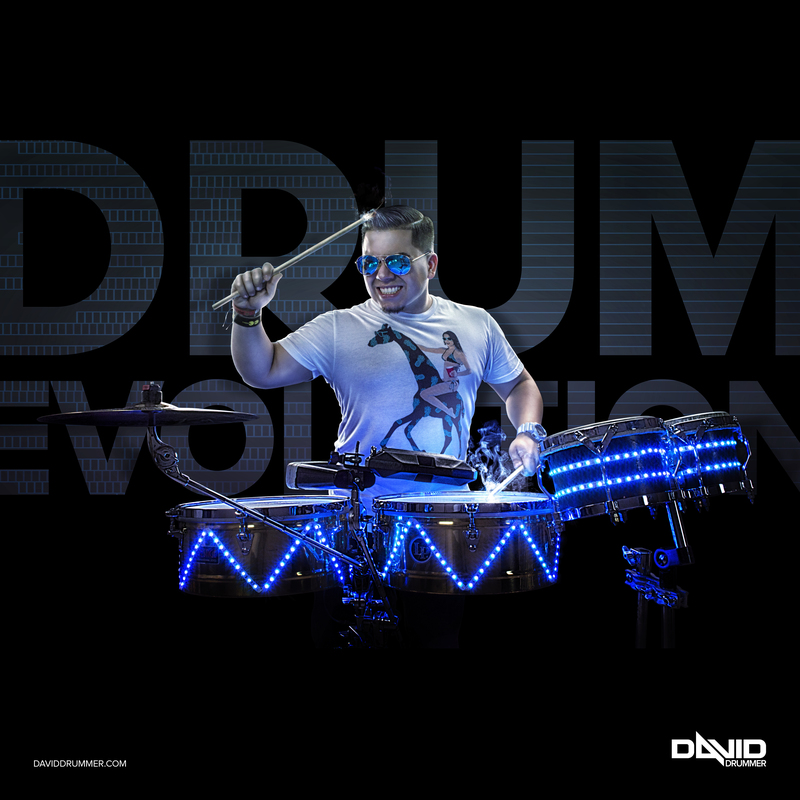 David Silva a.k.a David Drummer is a performer that takes the best out of two musical universes: Live music and DJing. Executing a performance like no other has allowed him to create what he likes to call EDM Drumming. A concept that he’s mastered. Hailing from Miami, This talented drummer walks up on stage along with local DJs, drumming with the grit and energy of hard rock to modern and groovy electro set-lists. Also establishing breath-taking showcases where he drums to the sounds that defined a generation of clubbing culture while taking the audience on a musical ecstasy. His drumming performances combined with Dj-Sets are more than gigs, they are true experiences for the audience. To help fans get a small idea of what the sound is all about, David established a YouTube channel where he plays live EDM Drums along with hits from the likes of Hardwell, Afrojack, Bingo Players, Armin Van Buuren, LMFAO, Cedric Gervais, Alexandra Stan, Justin Bieber, Maroon 5, Flo Rida and many more. You will truly be amazed when you witness how his live improvisation alongside any Dj set takes the music to the next level. Adding the energy and live-feel that simply can’t be copied, it’s truly something to experience live as each performance is unique. Once you experience this and when you do, you will be left with the desire to hear more. Find out more about David Drummer and check out what he can do behind the Drums. David is regularly performing in Miami. Don’t miss out on his show if you’re in town!